With businesses splurging every second on brand visibility, it is pivotal to understand what gets your business grab the attention of eyeballs that matter. Technology plays a huge role in putting the best marketing plans to practice. And mobile apps are proven to meet epitomic marketing goals. Precisely the reason why the mobile app market is expanding leaps and bounds. Having said that, the cost of app development and maintenance has always been a reason for business to put off their plans of building a branded app. Does that strike a chord? Mobile apps, being scalable, affordable and customizable makes the user journey more seamless. Exciting times, these are! Ready to make the most of it? With a belief that technology should simplify business, Instappy brings instant, affordable, stunning and intuitive apps for businesses giving them complete control over the app development process, without an app development team on board. We know it’s important to see it to believe it, and that’s why we bring you a step-by-step tutorial on how to make an app without writing a single line of code. How to make a content publishing app? A mobile application is unquestionably an ideal medium to transform a content-based business into a desirable and compelling product. With the help of an app-based strategy, a business can single-handedly transform the whole consumer journey. With a DIY app making platform, like Instappy, create native mobile apps for iOS & Android, and cater to your global audience. Get expert support for publishing your app by selecting layouts and themes that resonates with your business. With Instappy, there are plenty of features for your ease, such as a drag and drop interface, Instappy wizard, content scheduler, technical support, and screenshot generator. Here are some features that make Instappy a user-friendly app-making platform. How to make a retail app? Whether you are a jewelry store owner, a salon-service provider or a bookshop owner, you really need your customers to love you. Sometimes a high-end service & a quick response isn’t enough. Even for your loyal customers, there is always something that can be a big miss. Customers, now-a-days, wants it all and wants it quick; and that too right at the comfort of their fingertips. A quick revision of your mobile strategy can address so many business-related doubts such as logistics, offers, designs, and APIs in no time. To make customer-centric retail app , you need adaptable features. Here are some convenient features that Instappy offer. 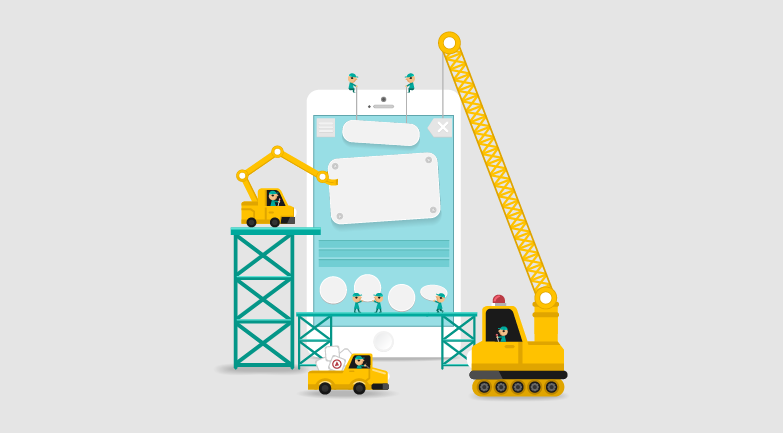 Now that you are familiar with the basics of an app building strategy, let’s help you with the app-making process. Create customer-centric native apps with the help of Instappy, a cloud-based app creation platform, where everything is customizable. Convert your occasional consumer into a brand loyalist.